Big, fat, fluffy snowflakes or hard and crunchy. Slush and sleet or flurries and blizzards. In Canada, along with many other nations throughout the world, we are deep in the throes of winter; and as such, we are experiencing snow in a variety of forms. Whether you love it or hate it, for many of us, there is no escaping it. So this month, show us a project featuring snow as the main theme. Whether a light dusting or an avalanche, what will your winter wonderland look like? Sandy, this is so cute! Nicely crafted and well presented. Thanks so much for playing with us this week at 613 Avenue Create! Very cute! 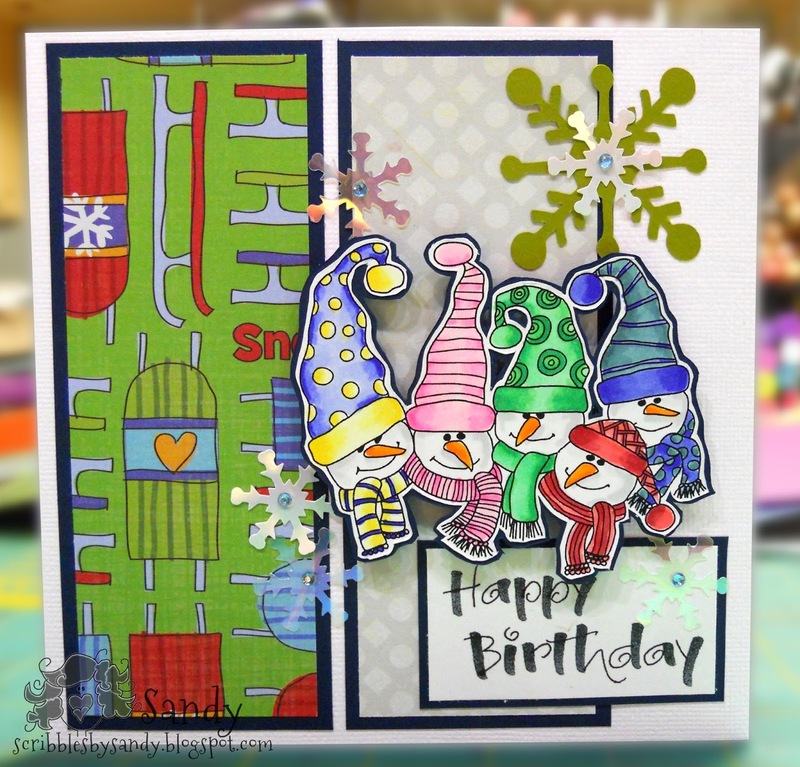 Love the snowmen. Thanks for joining us at CCC this week. Very cute card!! Thanks for playing at CCC!! !